Gordon's curriculum and faculty will expose the student, regardless of ability, to the fullest measure of academic freedom and challenge. The College's goal is for students to respond to Jesus' command in the parable of the talents: to develop their abilities freely and invest them fully in the various vocations to which they are called by God. Because Gordon is a Christian college, learning is never thought of as ultimate and without implied responsibilities. Gordon students are taught that a Christian education has implications for every aspect of their lives. At Gordon we believe that all humanly discoverable truth is given by God. This assumption is supported in classroom instruction and reinforced in required chapel and convocation programs. A Christian college not centered in worship and witness, where confession of faith is not a vital regular function of its common life, will not remain a center of Christian learning. Prior to coming to Gordon the student should believe that Christianity is based upon the great doctrinal teachings of Scripture and the Person and work of Jesus the Christ. These teachings have been commonly recognized by all Christians as the basis of historical Christianity. Nevertheless, each person experiences God's love and grace in an individual way. Through the personal appropriation of Christ's redemption, one develops a unique relationship with God.  Gordon encourages and equips its students, as members of the Christian community, to know God more intimately and understand their world as His. Spiritual insight, if it is to have integrity, can grow only in an atmosphere of free academic inquiry. Such freedom must seriously appreciate God's grace, sovereignty, and the Christian's God-given responsibilities. The College will provide positive reinforcement and guidance to this end. Through community worship, study and participation in some of the many possibilities for ministry, students should begin to realize more fully God's intentions for themselves.